Get Your Dream Relationship with Your Horse(s)! * Are you struggling to understand why your horse is doing a particular behavior? 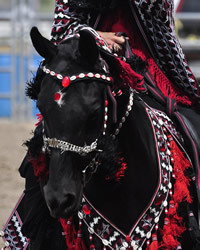 * Do you wish your horse could talk and tell you what is going on with him/her? * Want tips on ways to improve your relationship with your horse? * Are you and your veterinarian stumped on what is ailing your horse? Kim Baker, the Horse Guru, has a passion for anything and everything relating to horses and animals, and has been for the last 36+ years. 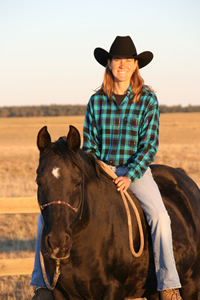 She loves to help people and animals improve their relationship by understanding their horse better with animal communication, energy healing, overall health and well being, radio shows, books, DVDs, and so much more. Kim offers many programs, including retreats and workshops to suit your needs. Check out her website for more information. 7 STEPS TO THE HORSE OF YOUR DREAMS! 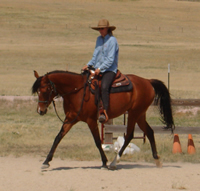 HORSE DVD: "Groundwork Essentials: Foundation that Lasts a Lifetime." Only $34.97 for 110 minutes of great information - get your copy Today! Only $8.97 in EBOOK or $18.99 in PAPERBACK - get your copy Today! 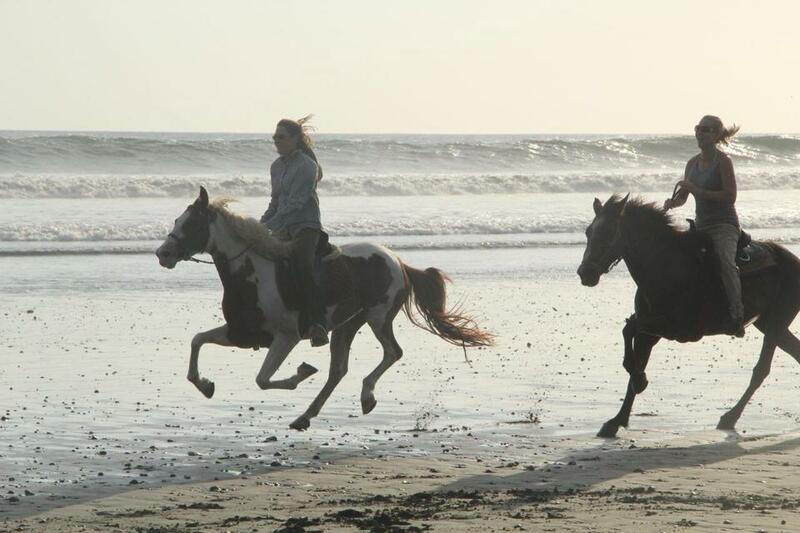 KB Natural Horsemanship is the most integrated and spiritual horsemanship program available! 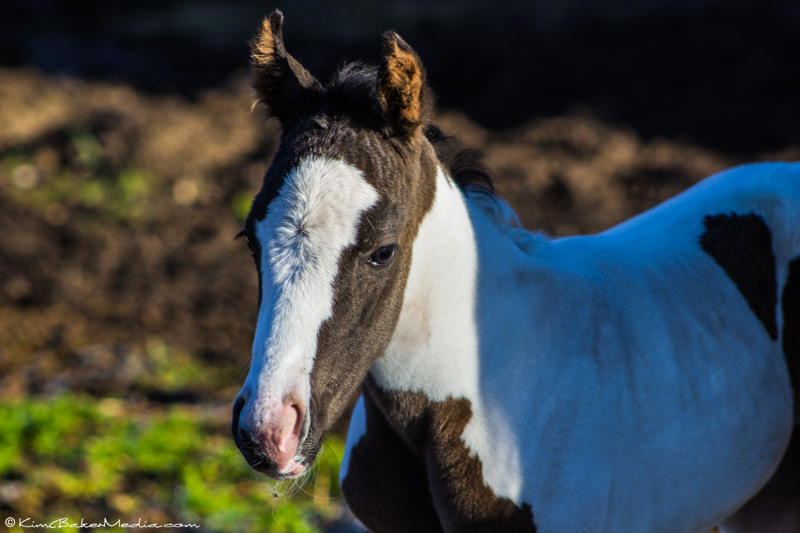 Utilizing visualization, energy, breath and meditation methodologies, we are dedicated to educating horse guardians about the simple things they can do to improve their horse’s lives. The results are a deeper relationship with your horse, a stronger partnership, and ultimately more knowledge about yourself. KBNH specializes in integrating natural horsemanship and holistic healing modalities (for optimal horse health and performance) into their horsemanship and riding programs. We build quality partnerships and lasting relationships from the ground up. Kim's passion, knowledge, experience and love for animals drives her to assist animals and their humans improve their relationships. Kim has been talking with animals since she was just two years old. 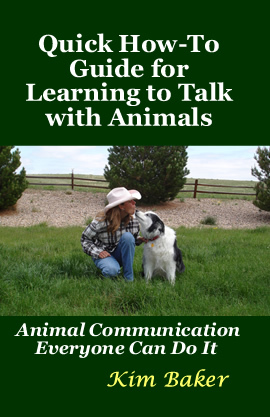 Animal communication helps animal lovers enhance their relationship with their animal friend(s). Kim assists the animals in sharing their voice and wishes in a safe and loving environment. 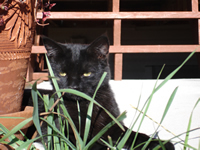 Animal Readings help animal lovers learn what they can do to make their animal friend even happier. A strong connection between body and mind has been demonstrated in humans and animals. Energy Healing is non-invasive, helps heal disruptions in the mind-body connection, and can reduce stress and alleviate pain in animals. Kim is a certified Reiki Master Teacher and Equine Craniosacral Therapist who focuses on the whole animal (spirit, mind, and body). Visit our Animal Reiki and Equine Craniosacral pages for more information. Here is your opportunity to take your relationship with your horse(s) to the next level! All information (verbal and/or written) provided in lectures, clinics, training, lessons, conversation, articles, requests for information/opinions/recommendations and/or interviews, as well as on this web site is intended to promote the health and overall well-being of an animal/human. This information is NOT meant to replace traditional veterinary/medical treatments and/or diagnosis for injury/illness. Please consult your licensed veterinary/medical practitioner for further information, care, treatment, and diagnosis.